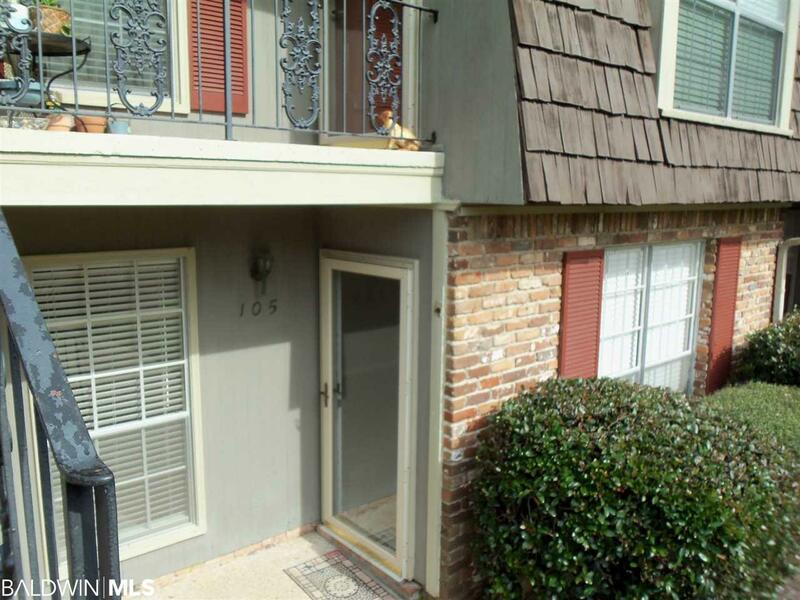 Charming New Orleans flavor condo complete with fountain courtyard to visit with neighbors. Located directly across the street from Mobile Bay. Catch the sunsets & walk to pier, yoga in the park, concerts and more! New carpet and paint and Thomasville Cabinets. Hook up for ventless dryer and washer. Additional laundry facilities, landscaped sitting area, clubhouse are perks of this small exclusive coastal retirement, part-time investment complex. No smoking complex. Blinds throughout! Listing provided courtesy of Realty Executives Bayshores. Listing information © 2019 Baldwin County Association of REALTORS® MLS.